Our Team | Curran & Sons Construction, Inc. 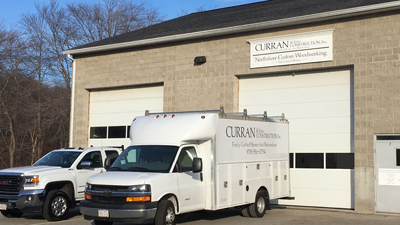 Founded in 1990 by lifelong Northshore resident Shawn Curran, Curran & Sons Construction is a full service residential and commercial builder providing custom construction and renovations. We take on every project with exquisite attention to detail and regard to each client. The diverse team at Curran & Sons Construction specializes in high-end new construction and renovation projects with an emphasis on custom design and an exceptional appreciation for each challenging project. Our goal is to go from conceptual design to a completed project that will surpass our clients’ expectations. The employees at Curran & Sons have worked together as a team for over 25 years and we work with a consistent, reliable group of architects, subcontractors and design professionals. This ensures that each project is of the highest quality and finest workmanship from start to finish. Curran & Sons Construction, Inc. is a proud member of the Builders and Remodelers Association of Greater Boston (BRAGB), the Home Builders and Remodelers Association of Massachusetts (HBRAM) and the National Association of Home Builders (NAHB).